Brother Mccown was born February 6, 1804 in Bardstown, Kentucky destined for great things. His father was a hero of Kentucky who had fought extensively in the American Revolution. Alexander McCown was among the men requested and received by Washington at Long Island when reinforcements were needed in the famous battle there. He also served with Washington at Princeton and White Marsh before forming his own volunteer company and leading early Americans until the end of the war. Our own Brother McCown aimed to match his father’s legend and did so across the new lands of Texas. 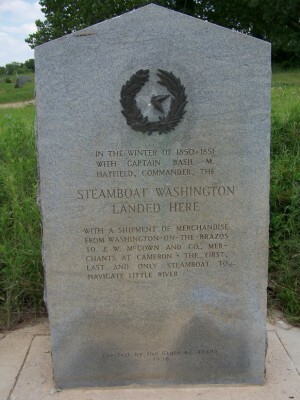 Flooding and attacks by natives caused him and his family great distress so on September 10, 1837, they set out for Washington-on-the-Brazos, the first capital of the Republic, where he had already been doing business. On one of his business trips, he had performed a unique task for the early Republic. In 1842, Sam Houston, president of Texas, hired McCown for the task of smuggling the Republic’s first records back to Washington-on-the-Brazos from Houston, the new capital. The city of Houston had voted against giving the president a free home and so he was responding by skipping town with the archives. Once McCown got the president and the archives outside the Houston city area, the wagon train paused long enough for Sam to put a curse on the citizens of his namesake city and knock the mud off his boots before he hopped back on for the remainder of the trip. McCown farmed his new land until he began an enterprise hauling and selling goods from Houston as far north up the Brazos as present-day Hillsboro where Fort Graham was then located a few miles west. So many times in the journals of early 92 men, we find a similar story of them traveling up the Brazos with the Texas Rangers or for some other purpose and they all seemed to say the same thing. The area around Waco was so beautiful that they felt drawn to it when thinking of a place to call home. The town festivities continued for two days until the “Washington” headed back down the river. The story was told for decades and today, an historical marker signifies the event. In 1853, he made a business trip to Galveston where he bore witness to a notorious disaster. There had been a successful company of steamboats operating there for some time. 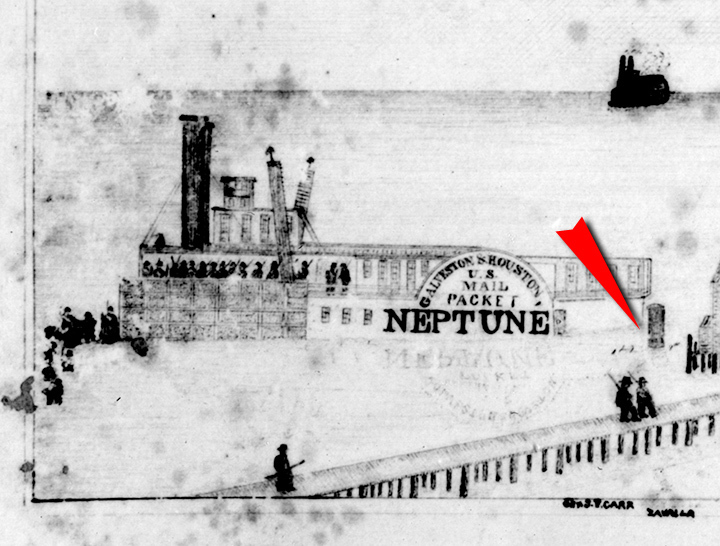 Captain John Sterrett operated the “Farmer” until he decided to open his own company and so he purchased the “Neptune.” Brother McCown happened to be aboard the Farmer in the spring of 1853 when the two steamboats came alongside each other heading to the same destination. The race was on. McCown helped to rescue some of the Farmer’s passengers from the water, including a co-founder of Waco, Caleb Hubby. Ultimately, thirty-six people died in the wreckage. Among them: Captain Webb. You can read more about the explosion by clicking here. Soon after, McCown made his way to Hill County. He purchased the old farm of Peter Fleming, one of the first men to settle in central Texas. The farm consisted of thousands of acres and McCown had finally found a town to call home. The town was named Towash after an Indian chief and McCown quickly became its leading citizen. He continued working as a farmer, teamster, and court clerk and judge. Over time, his property dwindled down to two hundred acres along the Brazos. When the Civil War began to brew, McCown publicly fought against secession and in fact, many citizens thought of him as a Union man. Stories spread across the state of McCown hiring Mexican immigrants to work his farm instead of the usual forced laborers. The stories were spreading because he apparently was having extraordinary success and efficiency. His reputation was so great that he suffered no real consequences for his unpopular views regarding the Confederacy. 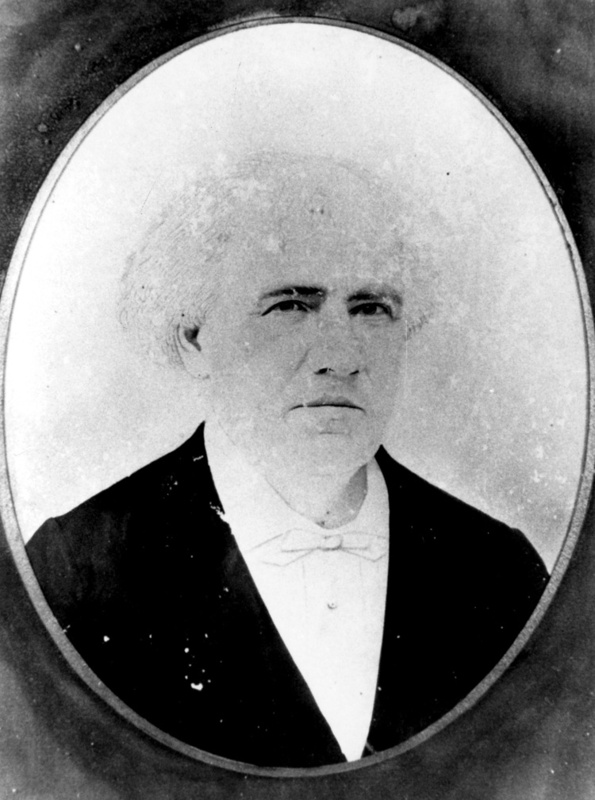 Despite the general disdain held by Texans for McCown’s views on secession and slavery, he spent his later years as a judge and was elected Justice of the Peace for Hill County. McCown eventually died at home in Towash and at the time of his death, he had twenty children, had been a Methodist for 69 years and was an active mason and Knight Templar. He was buried in Towash Cemetery but his remains were relocated to Whitney Memorial Park before Towash was buried under Lake Whitney. It was said at the time of his death that he had virtually known all the prominent Texans in its early days and out of all of them, Bigfoot Wallace was his favorite.